"Technology is outpacing the law"
Through the looking glass: Modern technology poses many issues in the legal system when old laws are applied to new devices that were never even dreamed of when legislation was being written. A court ruling has determined that biometric security on smartphones should not be used to forcibly unlock a mobile device and allow self-incrimination. American police forces may now face greater difficulty in unlocking mobile devices related to crimes. 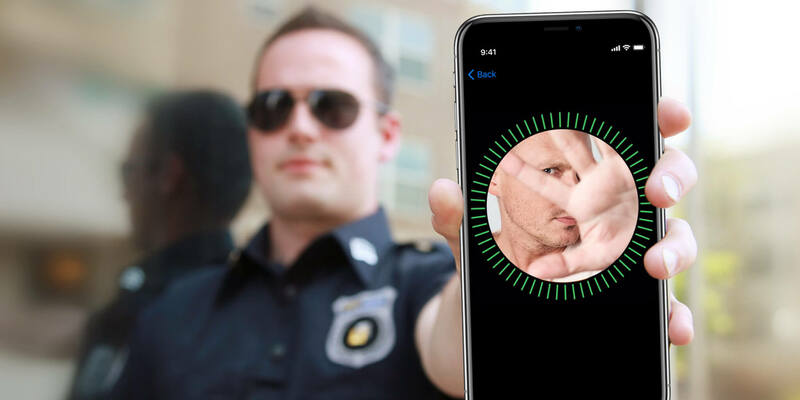 At the US District Court for the Northern District of California, a judge has denied issuing a search warrant that would have allowed a mobile device to be unlocked via a fingerprint, iris scan, or facial recognition. Since there is a very fine line that prevents suspected individuals from providing evidence against themselves under the fifth amendment, the California judge has ruled that all forms of login information is to be treated as testimony. Regardless of whether a phone is secured by a pin, lengthy password, or biometric sensor data, individuals may not be forced to unlock their device so as to testify against themselves. "If a person cannot be compelled to provide a passcode because it is a testimonial communication, a person cannot be compelled to provide one’s finger, thumb, iris, face, or other biometric feature to unlock that same device," wrote the judge. "Technology is outpacing the law." Despite the fact that mobile devices may no longer be forcibly unlocked, device security can still be broken on a seized device. Private contractors are able to provide services to law enforcement by granting access to data contained on most mobile devices for modest fees. Nearly all Android and iOS devices are able to be compromised if enough cash is offered up. Rulings at the district level are still able to be overturned by higher courts. Should there be something incriminating on your mobile device, utilizing a very strong password and avoiding the use of biometric options will still provide the greatest protection against the law. Better yet, just don't do anything that results in your phone being seized.